Systema Vegetabilium 3 (1826) 57 ex descr. 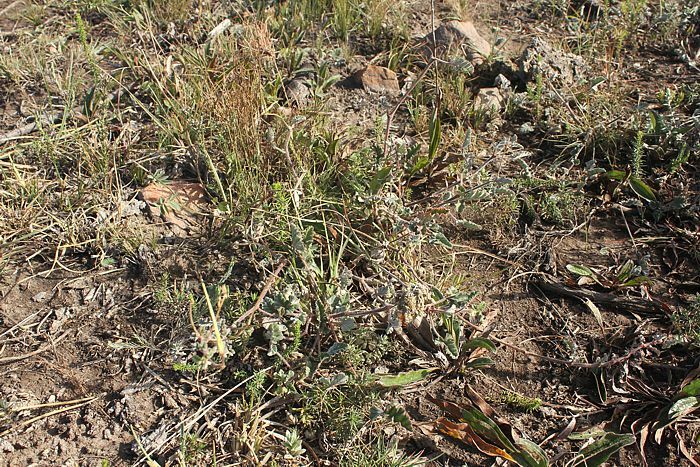 Decumbent to procumbent, much-branched subshrub, up to 0.3 m high and 0.4 m in diameter. Stems herbaceous, bases of older stems somewhat woody, hirsute and with glandular hairs interspersed, green but becoming reddish-brown with age. in outline, trilobate to trisect to trifoliolate with the terminal segment/ pinna much larger and variously incised, base cordate, apices of segments/ pinnae obtuse, margins crenate, (15-)20(-30) x (13-)20(-25) mm. 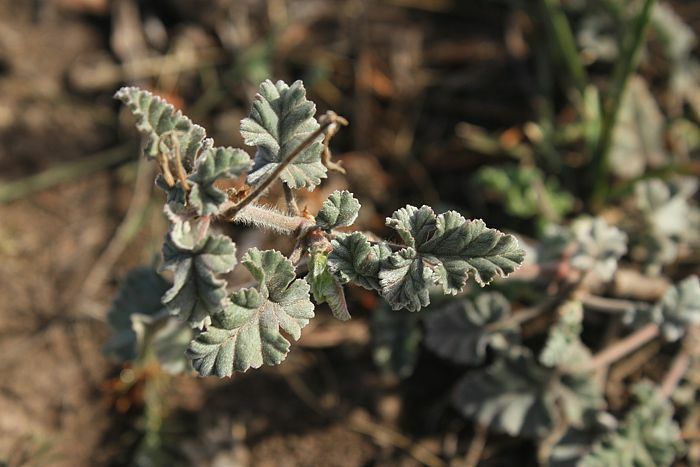 Petiole (17-)35(-75) mm long, stipules ovate to triangular, cuspidate, ca. 4 x 5 mm. Peduncles (30-)55(-60) mm long, indumentum as on stems, bracts narrowly ovate to lanceolate, cuspidate, ca. 4 x 2 mm. Pseudo-umbels with 1-4 flowers each, pedicel ca. 1-1.5 mm long. Sepals lanceolate, cuspidate, abaxially hirtellous and with many glandular hairs, green but prominently raised veins often reddish. Hypanthium 5-8 mm long, sparsely hirsute but with many glandular hairs. 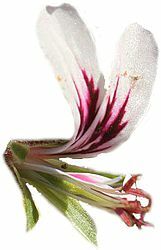 Petals 4, white to pink, posterior two asymmetric-obovate with narrow claws, with dark red markings, reflexed at less than 90 deg, ~20x7 mm, anterior two spathulate, with a pink blotch, slightly reflexed, ~14x2 mm. Fertile stamens 5 (2 long, 2 medium, I short), staminal column ~5 mm long, pollen orange. P. candicansis a very widespread species and is most often found in mountaneous fynbos habitats, such as above, at Prince Alfred's Pass, north of Knysna. 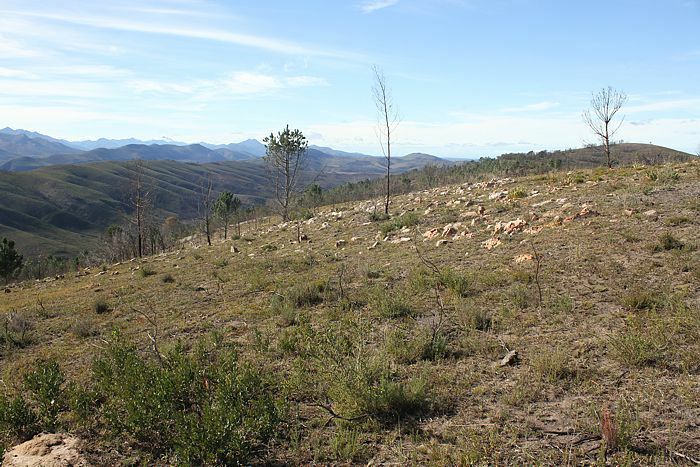 It mostly grows in winter-rainfall areas although the Pass already receives most of its rainfall during summer months. 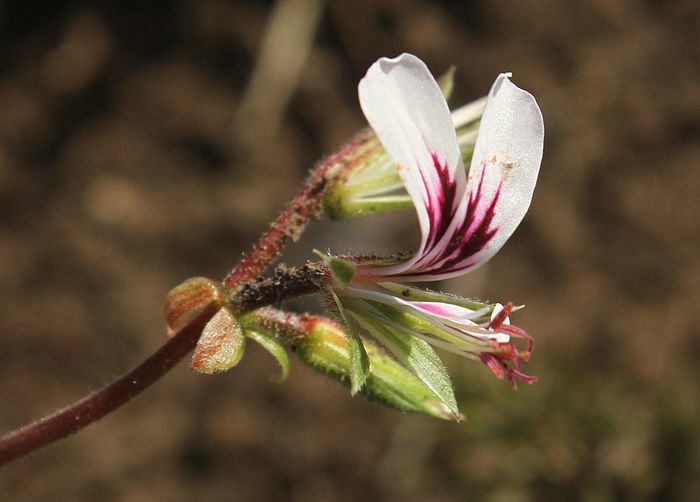 P. candicans is related to P. myrrhifolium, specifically to the var. 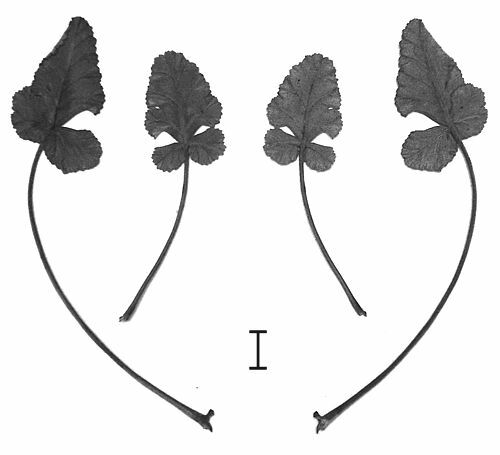 myrrhifolium and the two can sometimes be confused based on leaf characters alone. The rocky areas of the ridges that are manoeuvered by the Prince Alfred's Pass road are inhabited by P. candicans and P. schizopetalum. 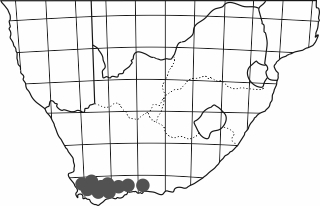 The slightly more shaded locations are inhabited by larger shrubby species such as P. cordifolium. van der Walt J. J. A., Boucher D. A. (1986).